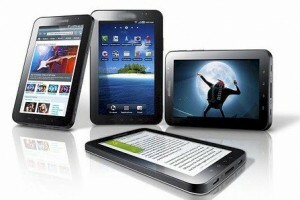 There are expected to be over 50+ new models of mobile tablet PC’s that will soon hit the market. There will be a lot of different shapes, styles, sizes and prices of this device. Not all of them offer the same exact features or functionality, so provided are the detailed technical options that you can consider when you’re out there considering purchasing a tablet PC. The majority of these tablets are usually lightweight, thin, Web enabled and portable. They are compact enough for you to be able to take it practically anywhere you go, yet powerful enough to provide the functionality of a laptop. They are obviously bigger than a standard smartphone, lighter than a netbook and smaller than the average laptop. They all come installed with an operating system as well as offering some form of wireless connectivity to the Internet via 3G or 4G cellular, Wi-Fi or at times both. The majority of these devices will come with a 7 to 12 inch display screen, and most are touchscreen technology interface respondent, that’s similar to the smartphones. Some will also work with a digital pen or stylus instead of fingertip touch. The majority will also have a virtual onscreen keyboard, while some may be compatible with an external keyboard as an option. Many of these tablets will also have built-in tools as well as online access to the variety of the ever growing available apps market, allowing you to purchase, download, and then use them. Because of the large variety of tablet PCs available, there is a wide variation in functionality for the assorted tablets that’s entering the market. Some of them will excel at one feature or function over the other. There are also some tablets designed more for the business and enterprise market, while others are geared towards the consumer crowd. There are some tablets that are a little smaller in size, or more affordable in price than the other. A “slate” tablet PC are generally flat, weights just a couple pounds, thin and are usually touch screen respondent. By adding the various apps that are available on the market, they will increase the communication as well as the computing features and tasks. There really isn’t anything else that’s similar to the mobile tablet PC device as a interactive communications tool. The essential basic purpose of these devices is to simplify and improve your life, assisting you in accomplishing your tasks at work or fulfilling your needs for entertainment. Tablets are able to help you in getting organized, keeping you informed and amused, allowing you to communicate a lot more easier with your family, friends or colleagues. You’ll realize that based on the different types of tablets that are available, they all offer different features as well as benefits, some that are more useful than others depending on your needs. The majority of the tablets will provide you with access to the Web, this either through 3G or 4G cellular networks or through Wi-Fi, some are available with both. As long as you are connected to the Internet, it allows for complete email functionality as well. If you need to create more content or documents for your business than you can consume, then make sure you purchase a tablet that is able to run full office type of apps., and are powerful and durable enough to keep up with the workload. There are tablets that are available allowing you to purchase, display and read books in ebook format. The tablets which offer the built-in eReaders often tend to have the best screen visibility, especially when in broad daylight or direct sunlight. If you like to watch TV or enjoy listening to music, there are a number of suitable tablets available which will allows you to do so. Watching TV on your tablet however, requires the use of a lot more bandwidth, so you should be considering a tablet that is Wi-Fi capable, as connecting to a 3G cellular network may not be strong enough. If you’re able to access the Internet with your tablet, then obviously you’ll be able to connect to the various social media networking sites out there, including Facebook, Twitter and Google services. Most of these social networks has also created their own apps that are available for specific tablets and their operating systems. If you’re interested in viewing videos or watching movies, there are a handful of tablets that are able to provide you with direct Web based access to the various subscription based entertainment services. When streaming movies on tablets, most will require a Wi-Fi connection since 3G Internet access may not be able to provide enough bandwidth for a smooth delivery. As the various mobile tablet PCs are not all built the same, you should be considering who the manufacturers are, along with their reliability and reputation, and the Operating System that they are using. When you’re on the market looking for a tablet, keep in mind the main purpose, functions and features that you are looking for. Tablet PCs and their users has a lot of diversity as well as interests. They like to use their mobile devices to read ebooks, watch TV or view movies, stay current by chatting with their friends, get GPS directions, and a variety of other varied tasks in this mobile enabled world that we live in. One trait that everyone shares however, is wanting to connect their tablets to the Internet. Whether you’re using your tablet at home or your on the road, there’s a few options on how you can receive mobile broadband or a Wi-Fi signal. Tablets are proving to be one of the most convenient as well as versatile of devices that’s now available on the market. Most manufacturers of these devices will also offer plenty of useful accessories that will enhance as well as protect the tablets, especially if you happen to be on the road. Keep in mind that the following accessories are not available for all of the tablets on the market, as it solely depends on the manufacturer or the after market accessory market. Portable chargers are available for vehicles allowing you to recharge your tablets battery when you’re in your car, driving to the beach or your next meeting. If you need to charge multiple mobile devices simultaneously, such as a smartphone, look for a charger which has multiple USB ports or an adapter. Protective cases will keep your tablet from getting banged around or picking up scratches and dings. There are cases which are available in a large range of colors and styles which are multi-functional with features such as providing a better grip, or being able to convert into a stand which is useful for viewing multimedia. Provided that your tablet PC has a built-in Mini HDMI port, you can use a HDMI (Mini) cable and a HDMI cable to connect it to a standard HDMI input HD Television. This will allow you to share your high definition videos or photos and show them on a larger display. Some tablets may require a docking station to be able to support the HDMI connection. If you would rather type on a real mechanical keyboard than using the virtual keyboard that’s on the tablet PC, there are ‘real’ wireless keyboards that are available, which connects to your device via Bluetooth technology. It’s a good idea to protect the face of your tablet’s delicate screen by covering it up, especially if it happens to be a touchscreen. Using a screen protector will keep it from getting damaged or scratched. These are typically constructed using a clear durable plastic resin which acts as a scratch resistant barrier between the tablet’s glass interface and your oily or dirty hands and/or spilled beverages or food. Multimedia docks or tablet stands can make it a lot easier for you if you’re wanting to view videos or wanting to listen to music or audio. Some docks will also include built-in speakers with an audio connection that will produce full-range stereo sound.